Discover your craft with Quodo! 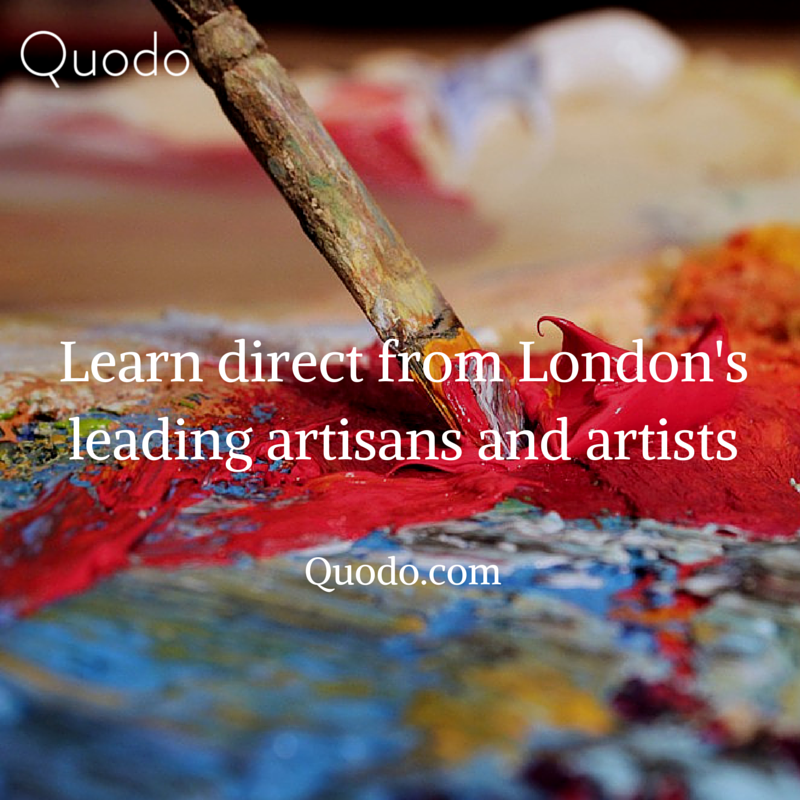 Quodo.com is the place where you can get your craft on by linking leading artisans & artists with Londoners who want to rediscover their creativity outside of the office! 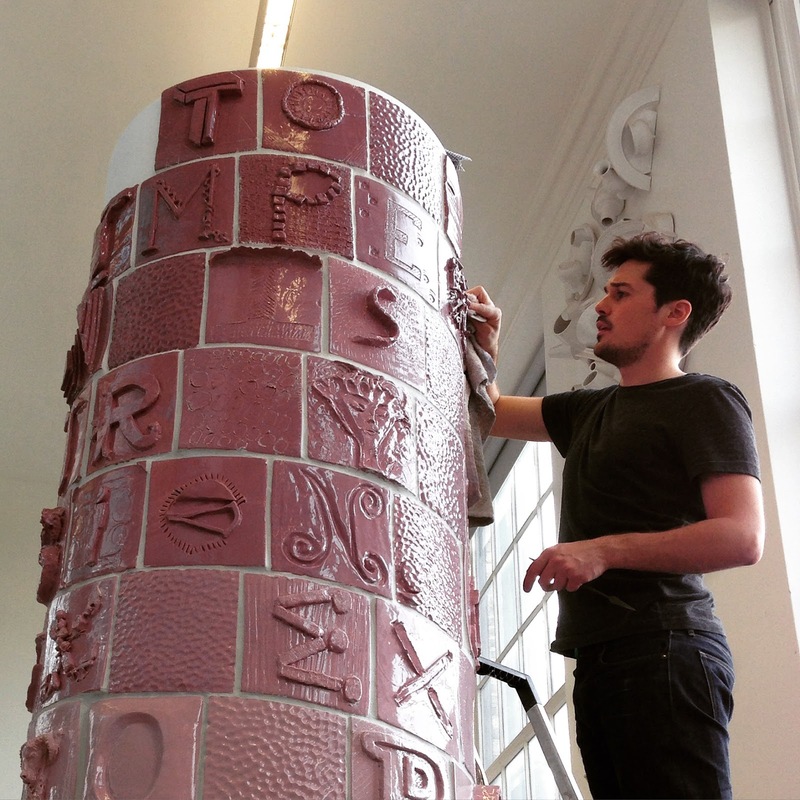 With summer wrapping up and the kids back at school it's the perfect time to get creative with some of London's brightest artists and artisans. Bringing together 30 of London’s finest artisans and artists offering unique arts, crafts and cooking classes starting from just £20. Well that sounds like a winner to us and we're sure that as time goes on that they'll get bigger and better so we'll definitely keep our eyes on these guys! Plus we're super chuffed to say that there's a class just down the road from us (Walthamstow) so we're definitely checking that out on the 26th of September! If you'd like to join us at Daniel H's Wallpaper screen printing class then you lucky people can use the code below to get yourselves a £20 discount! 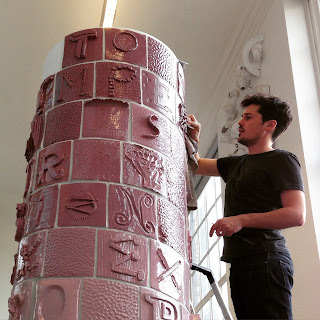 Daniel is a brother of the Artworkers' Guild and a published academic working in textiles so we really can't wait to learn from a master craftsman! 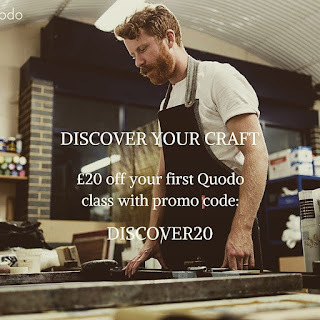 But if screen printing isn't your thing then fear not... there are other great classes from millinery, ceramics to healthy cooking so get on to the Quodo web site and start crafting your life a bit more interesting! The Crafted Garden... a handy book for today's creative gardener! 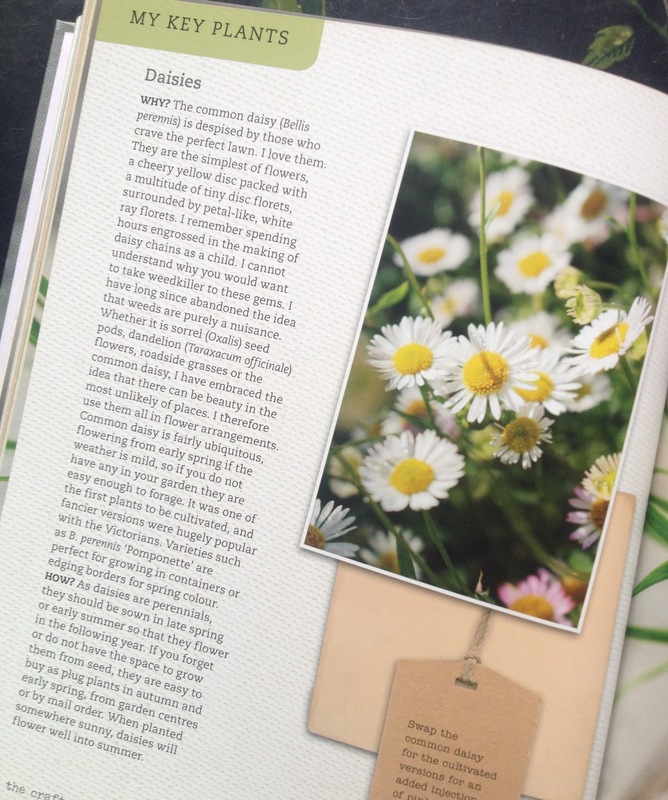 There seems to be a craze for green fingered pursuits and plant potting at the moment and we can honestly say, hand on heart, that we've absolutely fallen for it too! 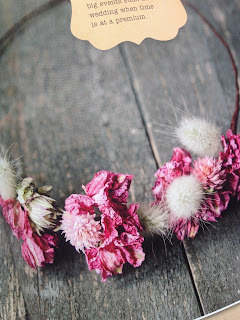 From Cacti potted in geometric concrete pots, macrame holders, terrariums to fresh flower crown wearing... The green stuff has us in a spin wanting to get our fingers into the damp earth and making again! It's a natural romance and we're falling for this book head over heels! 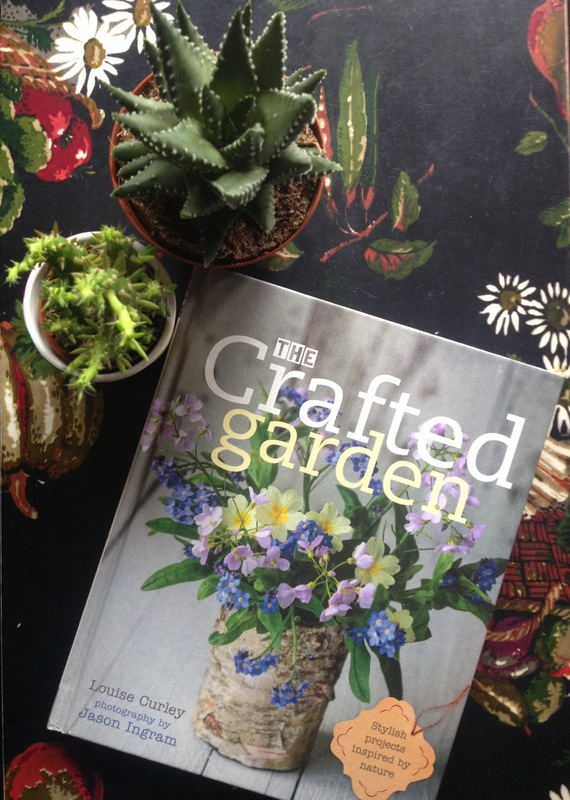 "Stylish projects inspired by nature"
The Crafted Garden, published by Frances Lincoln offers us a lovely mix of projects and handy tips which will get you growing and making fun & crafty plant based objects ... which you can make for your home or even make as a gift for a friend! 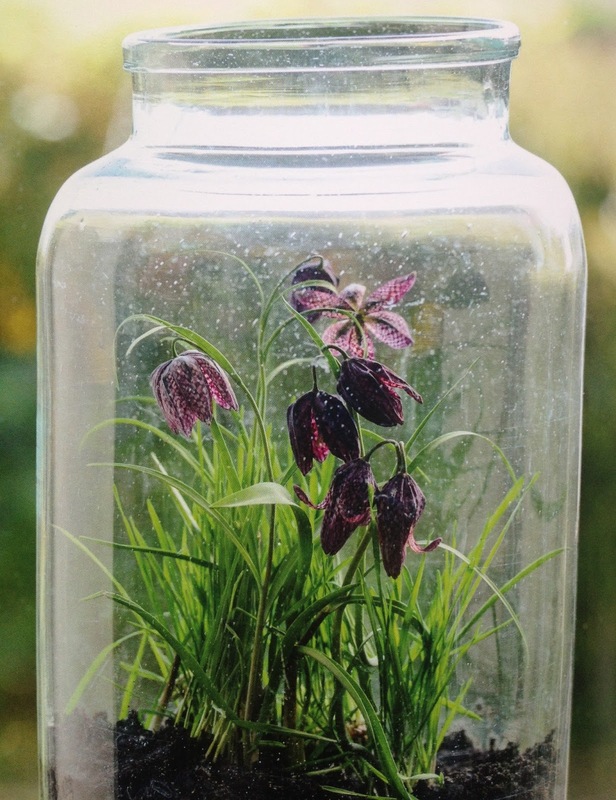 Terrariums can be amazing and easy to look after... and it's a great way to recycle your jars! 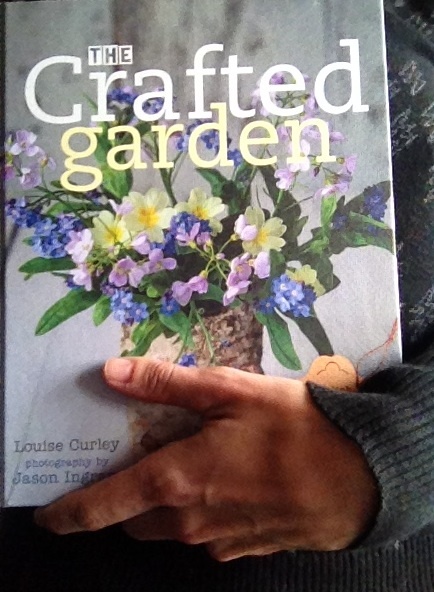 There are over 50 projects and some great tips in this book which the author Louise Curley has included to ease and guide you into finding your inner crafty gardener. 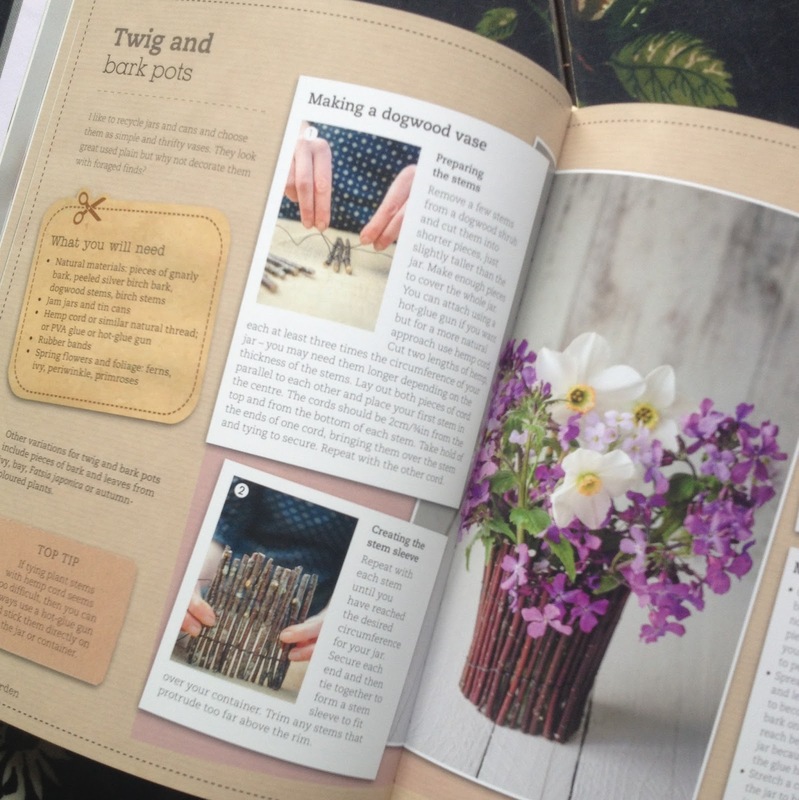 Transforming foraged hedgerow jewels and garden finds into beautiful things is something of an art and Louise is happy to share with us her skills through some great step by step tutorials! And it won't cost you a fortune! 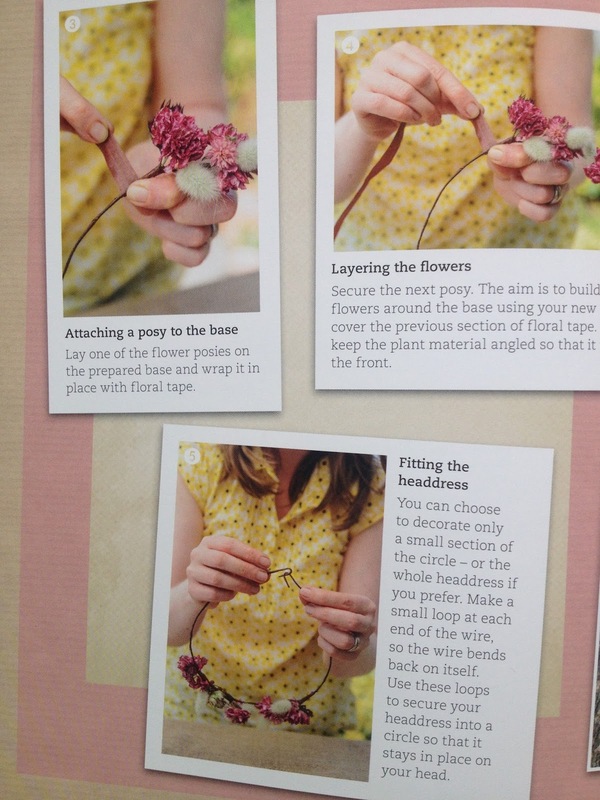 Most projects are easily achieved from bits and pieces from your very own garden and craft stash. Some things you might want/need to purchase but there's a really good section with suppliers details. Personally I find there are quite a few on line groups which can be a great resource too so even if you're on a tight budget it shouldn't stop you. Lots of people use these social media pages and sites to post materials, items they no longer need or want so are happy to share, give away or sell for a small donation. Try Face Book, local Free Cycle or S.O.S. (Sell or swap) groups. 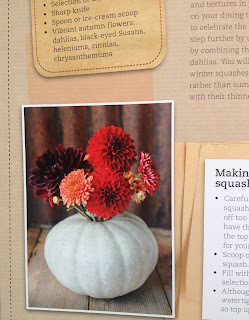 I've managed to find lots of gardening stuff from seedlings to ceramic pots! Another thing I like about this book is that it's divided into season's so you can just get out there without having to endlessly plan... I'm quite looking forward to Autumn now, not that I wasn't before... but... because it was a bit of a "meh" summer I wasn't quite ready for it yet! But I am now!!! 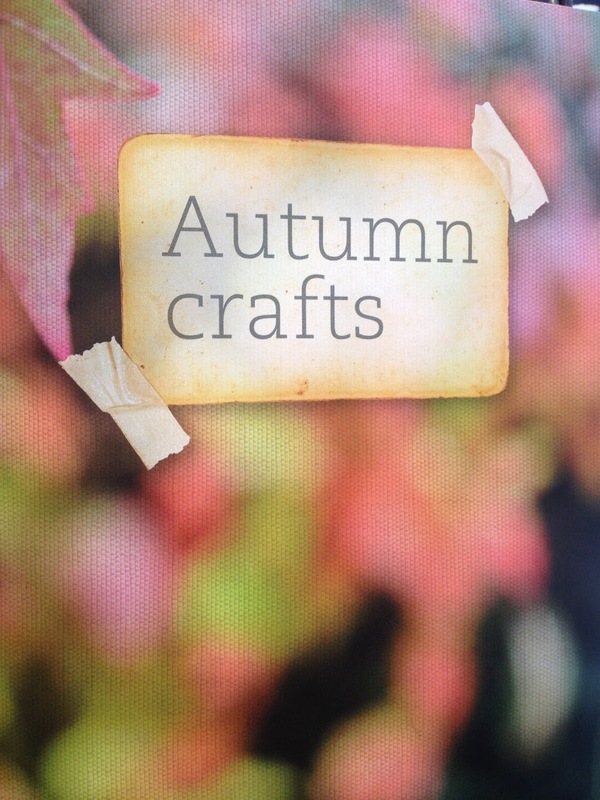 Yes, Autumn can be chilly but it also gives us beautiful leaves!!! Actually getting my hands working alongside with nature will help me feel connected to the seasons again, which lets face it can be a trifle difficult because as the old saying goes "In London you can get the 4 seasons in a day!" so it can get a bit much sometimes! 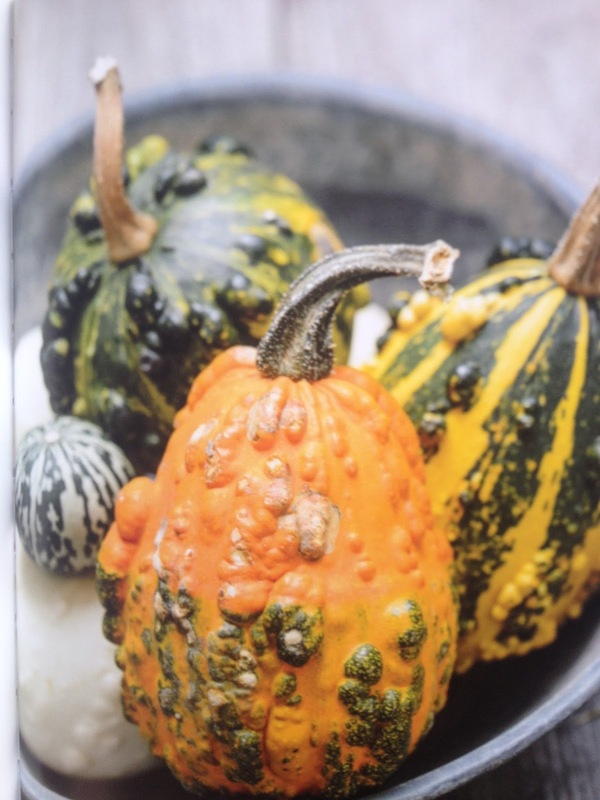 Not just for eating, these beautiful gourds are also lovely decorations! 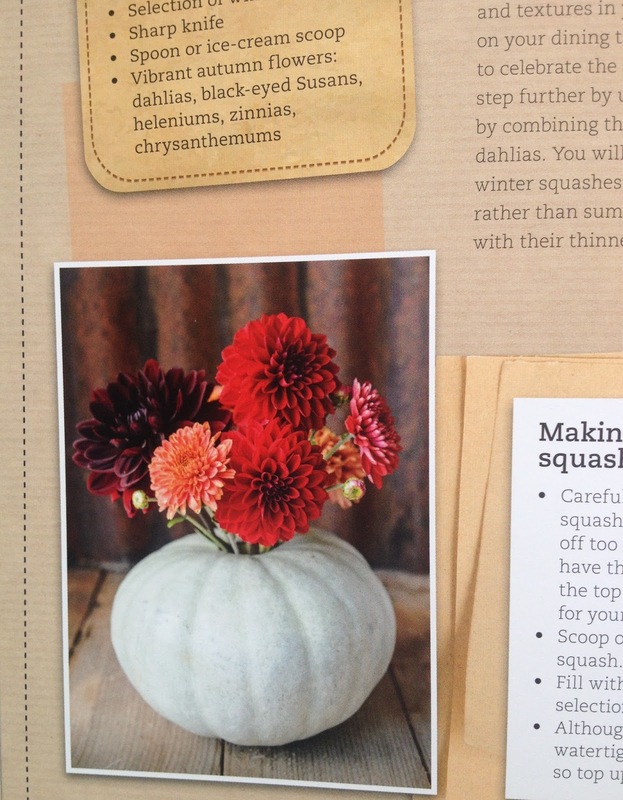 A squash vase... simple, beautiful and perfect for an autumnal party! 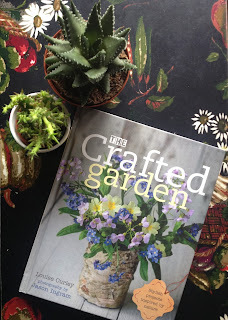 So whether you're a green fingered god/goddess or a completely useless "Death Fingered Cactus Killer" this awesome book will get you inspired and back in touch with nature again. It certainly looks like I'll be keeping my copy close as you never know... today we could be in Autumn and tomorrow thrown back into Spring! telephone 01903 828503 or email mailorders@lbsltd.co.uk and quote the offer code APG355. 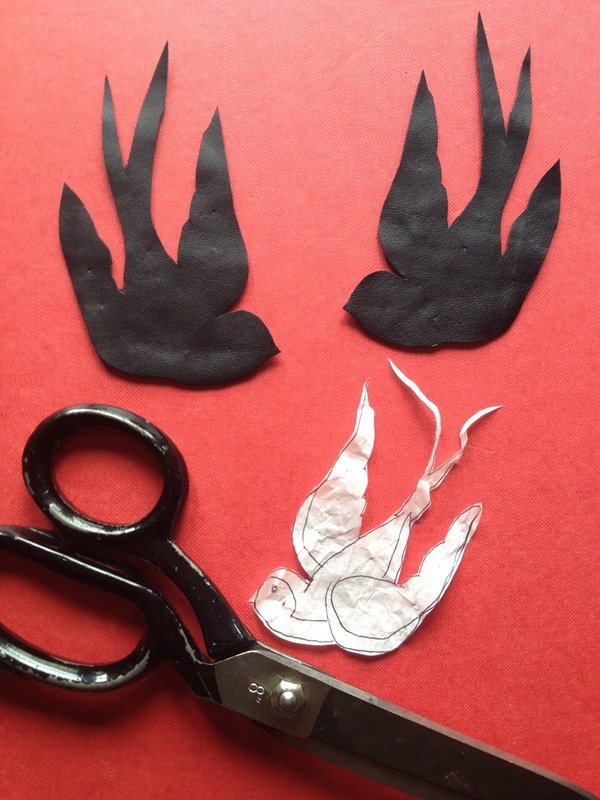 Hello sailor, all hands on deck... our swallow patch tutorial is here! 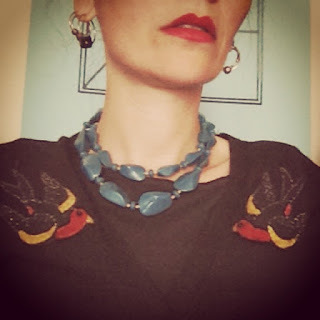 Summer's left us just like the swallows have left our northern skies. 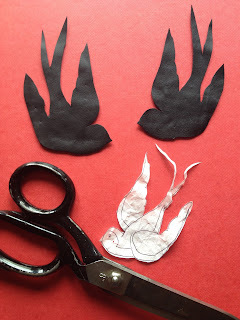 They've flown south for the winter way too soon but fear not because we too can get some of that good feeling back with this cute sewing tutorial! I've opted for adding my patches to a cardie mainly because I'm always cold... but these patches also work on shirts, dresses, tote bags or anything that needs cheering up! 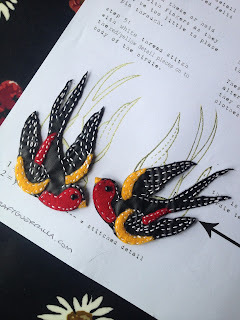 Another great idea is to add them to some fabric shoes (you know the ones, those cute traditional Chinese canvas ones) adding some embroidered extra details like a sequined covered heart or some other tattoo inspired designs. Lets face it... they are an old school tattooed sailor staple but are also quite girlie too which is something I absolutely love. I'll be making quite a few though I hope I don't over due it with the birdie theme... bah, who cares, I love them so I'm adding them to lots of stuff... shoes, bags, dresses, hair clips...whatever! Oh well, could you really have enough?! The ones pictured were made with scraps of letherette and felt but you can use fabric, felt or even paint the details on with acrylic fabric paint. 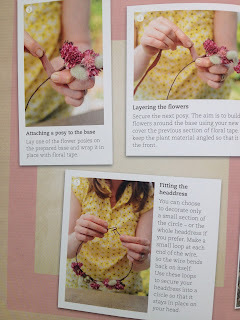 *Also a top tip which I found after I wrote up the tutorial is that if you use iron on double sided interfacing that it's even easier to add to your clothing! To download the instructions and template PDF click "here"